We are looking to add a new car into our family in the next couple of years. We have been going back and forth on if we need to get a mini-van or a small compact car. I think we have finally figured out that we will be looking to get one of each. Both of our current cars are on their way out. We are hoping to make it one more year until Caroline gets out of daycare. We have had the privilege of test driving a few vehicles for a week at a time to try and figure out what will work for our family. 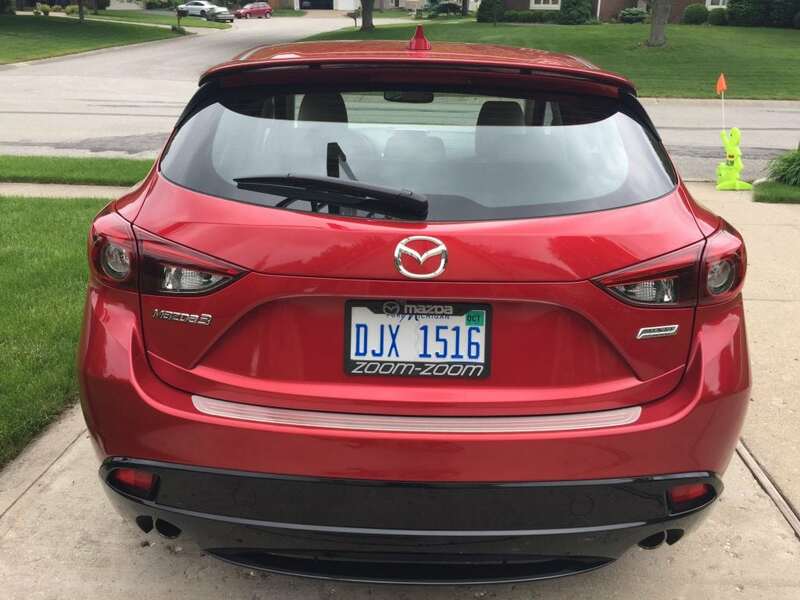 Today I am going to share with you our experience with the 2016 Mazda 3 s 5-Door Grand Touring. 2016 Mazda 3 s 5-Door Grand Touring is a compact vehicle with 4 doors and a hatchback. It can seat up to 5, but the back would be a bit cramped if the three people in the back were adults. Mazda has done a great job with the interior, it doesn’t feel cramped at all. In fact, the interior feels spacious thanks to the sunroof and some great ingenuity of the “infotainment system” console. I love how the controls for the “infotainment system” are easily accessible. 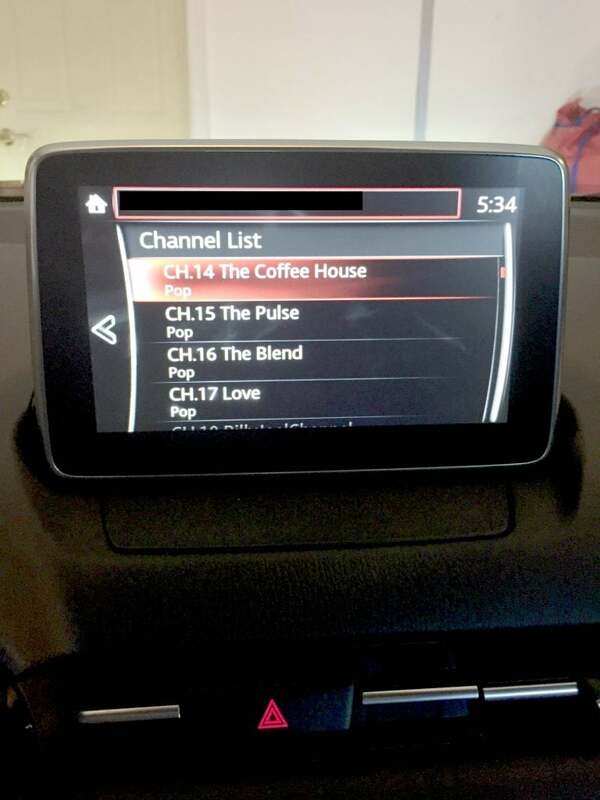 There is a knob that you can use in the middle console between the front seats to access the navigation system and music stations. The backseat also had a lot more room that I would have thought from looking at the outside of the car. Our kids’ booster and car seats were able to fit in the back with no problem. 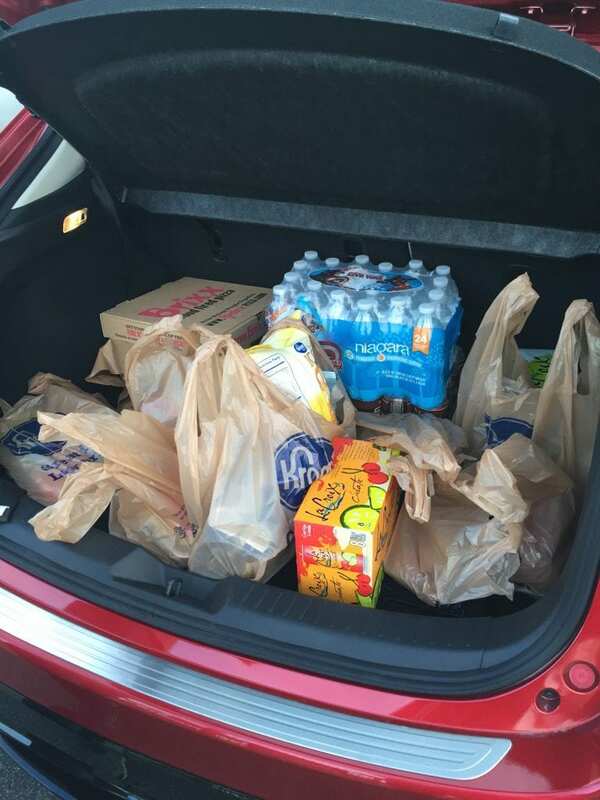 The trunk space can carry all of our weekly groceries plus the kids’ backpacks. I couldn’t see us hauling a bunch of stuff around from the store, but for our basic everyday needs it would work fine. Overall, I was very please with this compact car. It would work for us as a family of four. It had a lot of power and was a fun car to zip around in. Getting used to the dashboard took a little bit of practice but after a few days I was a pro. I love the safety features that this car provides like blind spot warnings in the side mirrors and cruise control with close proximity warning. 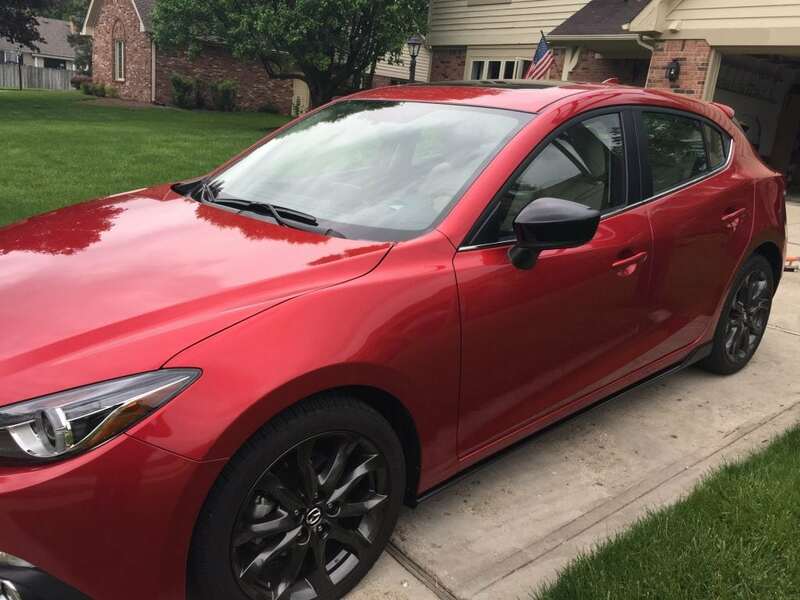 If you are looking for an economical, fuel friendly car that is a ton of fun to drive, I would certainly scoot down to your nearest Mazda dealership and try out the 2016 Mazda 3 s 5-Door Grand Touring. 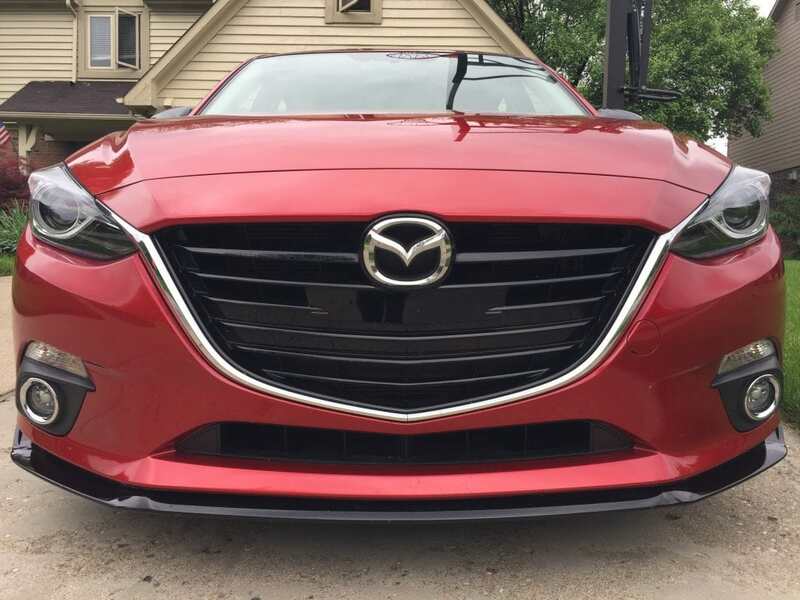 A huge thank you to Mazda for allowing our family to drive the 2016 Mazda 3 s 5-Door Grand Touring for a week! All opinions are 100% mine. « 5 Amazing Educational Travel Destinations for Kids!